Did you procrastinate on decorating your bra for a gig and now you’re freaking out because the show is tomorrow night? Or perhaps you’d like the cups to be different colors? Maybe you just want another method of bra decoration besides throwing a bunch of rhinestones on it. Maybe the glitter bra is the answer. 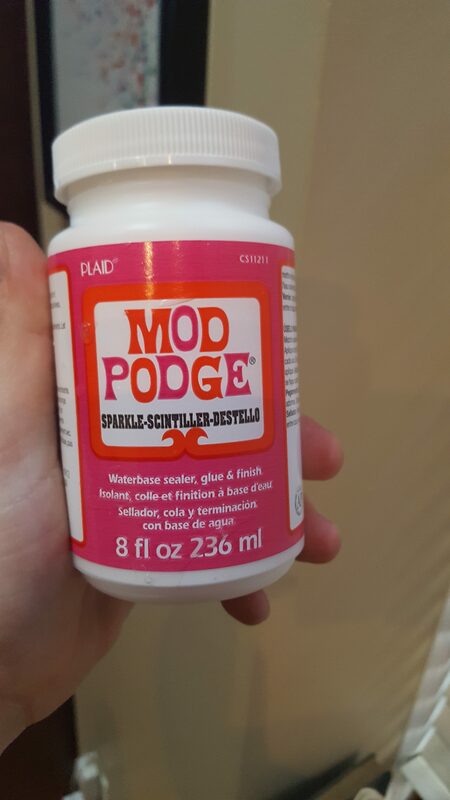 You can use a combination of Modge Podge and glitter to decorate your own glitter bra! 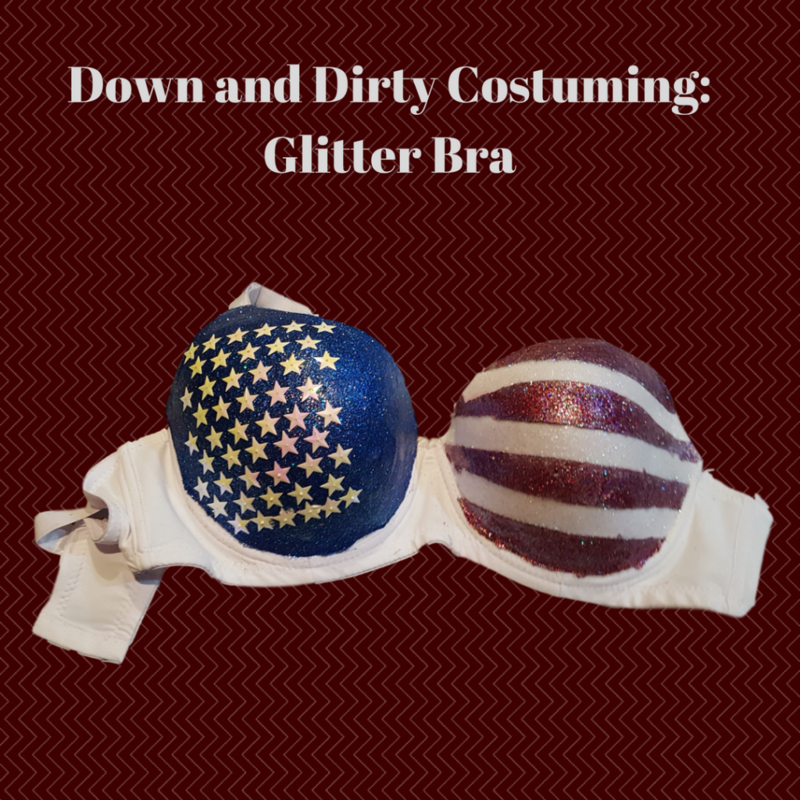 This is a down and dirty way to add some shine to your bra quickly. You’ll still need it to sit overnight to dry, but you could potentially finish your glitter bra in one evening. First off, lay out several layers of newspaper. It’s also helpful if the piece of newspaper you work directly above has the fold lying on the table. 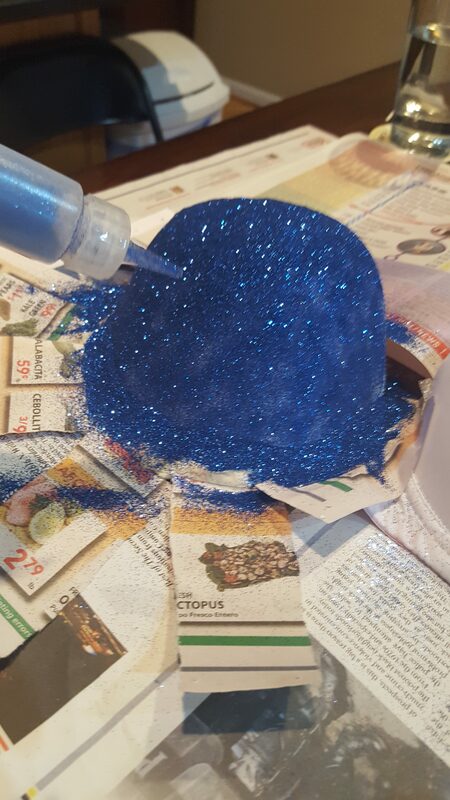 This way, the fold will catch the glitter and make the excess glitter easier to pour back into the bottle. 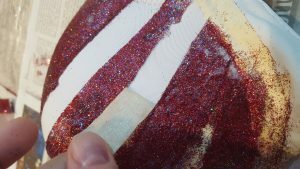 Use the Masking tape to tape off any sections you don’t want glitterized. If needed, cut the tip off your squeeze bottle so it’s big enough to “puff” glitter onto the bra. You could just pour the glitter on the bra, but I find “puffing” it gives you more control. 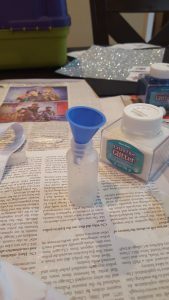 Then use the funnel to pour the glitter of your choice into the bottle and screw the top on. 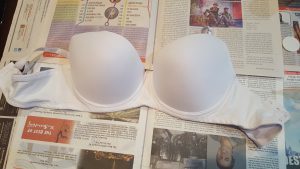 Now, spread some modge podge evenly onto the bra cup. You can immediately start “puffing” glitter onto the cup as evenly as possible. 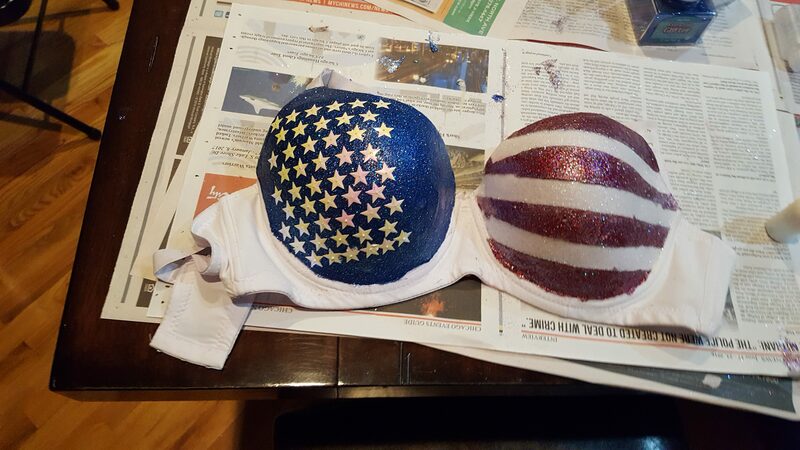 Give the bra about 5 minutes to start drying, then put another layer of Modge Podge on top with another layer of glitter. After about 5 more minutes, do one more layer of Modge Podge to seal the glitter in. If you skip this step, the glitter will come off on everything). Trust me, this is already creating a big enough mess as it is, you don’t want that glitter coming off on you during the act, do you? 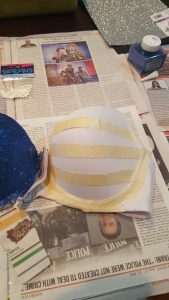 Let the glitter bra set overnight, and then you can carefully remove the Masking tape (sometimes the glue/paint mixture will want to come off with the tape, ask me how I know). After that, you can do any other decorating that you wish. This method is great because it also allows you to do designs, like the stripes of a flag, if you have an extra day. It’s also great for just adding texture. I’ve added flowers, rhinestones, even sequin stars on bras decorated in this fashion. I hope this post is able to inspire you with a different way to decorate your costume bras. 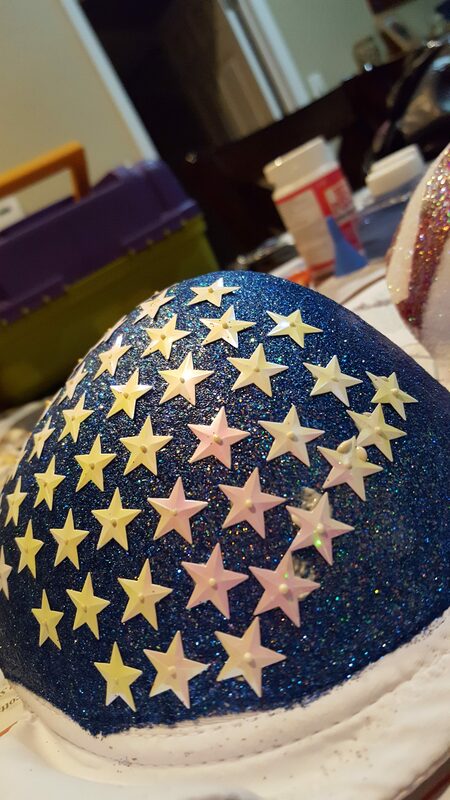 If you come up with any other tips or ideas while decorating a glitter bra, please share them in the comments below!